The capacity to endure. Practices that meet human needs while preserving natural resources and the environment so that future generations are able to satisfy their needs as well. These actions seek a balance between the social, economic and environmental aspects. 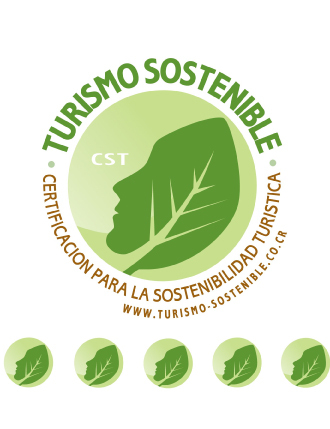 The Certification for Sustainable Tourism Program - CST - is a product of the Costa Rican Tourism Board (ICT), designed with the objectives of categorizing and differentiating businesses of the tourism sector. The CST has 5 levels of achievement based on the degree of compliance of different sustainable practices involving natural, cultural and social resource management. This program is regulated by the Costa Rican National Accreditation Commission. The main purpose of the CST is to bring into reality the concept of sustainability as something practical and necessary in the context of the country's tourism competitiveness. All this with the idea of improving the way people use natural resources and to encourage everyone to participate actively in their communities to support the competitiveness of the business sector (ICT, 2010). The Trapp Family Hotel has the CST certification for four levels of sustainable tourism achievement.